Before I take a break from the Internet during the holidays, I wanted to share this post. I actually wrote this blog post while on a work trip to Santa Fe and have been holding on to the post because I wanted to make sure I was ready to share this much about myself. I also didn’t want to sound “lame”. I decided that I am ready for you all to see my nearing-retirement age, what am I going to do with myself, angst. After the holiday break I will be sharing our dreams (well one dream anyway) and what we are doing to chase that dream. One of my favorite Dr. Seuss books is Oh the Places You’ll Go. I read it every year to graduating seniors as they head off to amazing places like work, college or the military. I have given it as graduation gifts, too. I put a link to John Lithgow reading the story if you have never heard it before. I hope you take a few moments to listen to the very wise words of Theodore Geisel- Dr. Seuss. 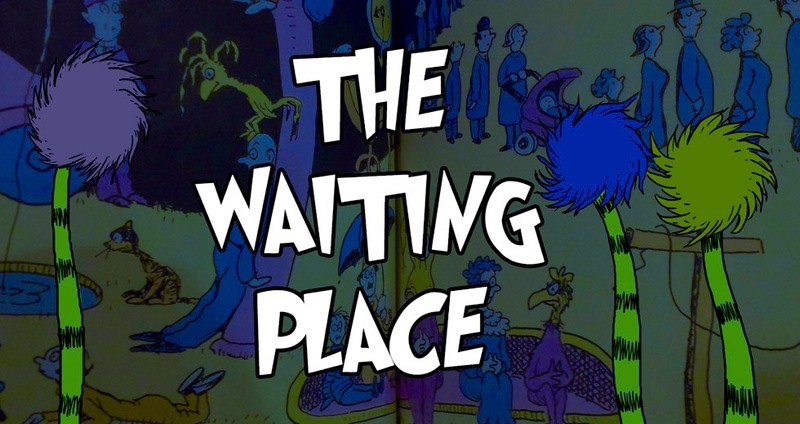 Am I alone in the waiting place? Sometimes I feel like I am, but I suspect I am not the only one. While I write this, I am waiting for a session to begin at a conference. (Fitting, right?) I am waiting for my daughter and son in law to come in at Christmas, waiting for summer when my son and daughter in law return from out of country, waiting for the next chapter in my life… and frankly I am not even sure what that next chapter is or when it will begin. I am lucky enough to be in a good job, with a healthy family, and almost enough resources to do what I want to do. I sometimes wish I had a crystal ball, but I think half the fun is figuring out what the next step is on the journey. I will be taking a break from blogging until January. I hope you have a wonderful holiday break, you can rest, and that you are able to sped time with family and friends. I try to live in the moment, easier said than done. I sometimes envy people who are able to do that. Often if I’m at work and I meet a fun senior citizen and are full of joy and laughter I’ll wonder what I’ll do when I’m retired. Will I have lunch with friends, travel more, etc. I catch myself and realize all that matters is the moment I’m in. 2015 brings a lot of changes for our family. A new grandchild in May a new daughter in law in June. So yes, anxiously waiting for two big events in our life. In my thoughts I know I’m a constant work in progress learning something new each day. I enjoyed reading your Doctor Suess story. So much wisdom in his words. Thanks for sharing and I hope your 2015 brings a few surprises your way!